Lt. Gov. 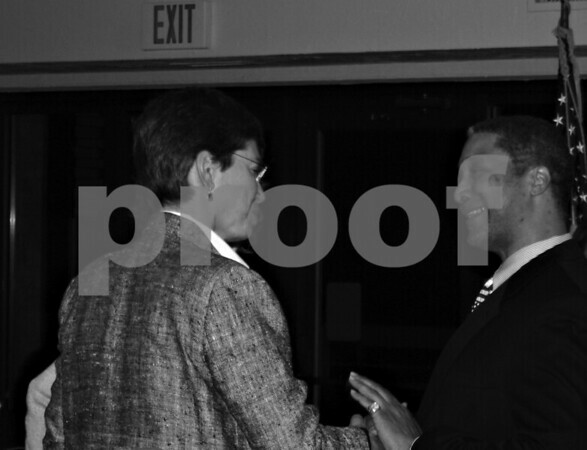 Sheila Simon is greeted by DeKalb County board member Derek Tyson during Thursday's Paul Simon Dinner hosted by the county Democrats at Hopkins Park in DeKalb. Simon spoke about education issues facing the state including her support for withdrawing from the No Child Left Behind program.